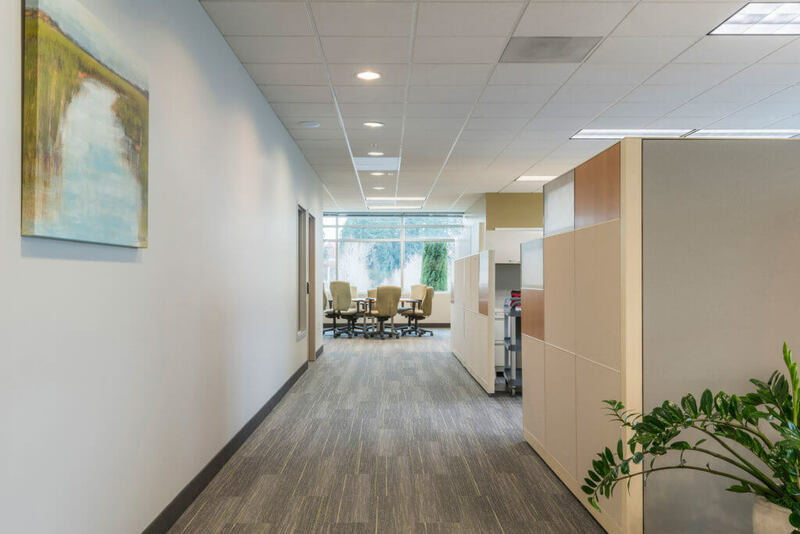 Lenity transformed 18,000 SF of formerly closed private offices and conference rooms into a highly collaborative open plan environment designed to support both focused work and collaboration including companywide gatherings. 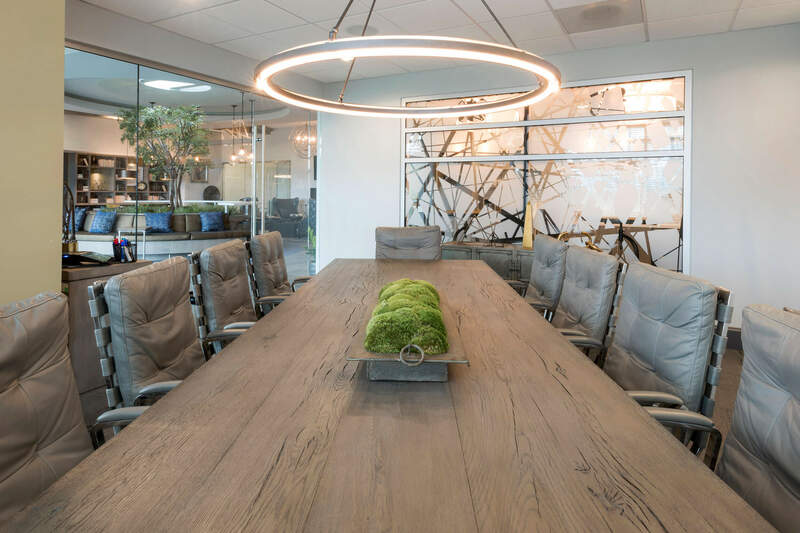 In the Collaboration Room, an artistic focal point of faux wooden beams draws the eyes upward to the newly installed cylindrical skylight. 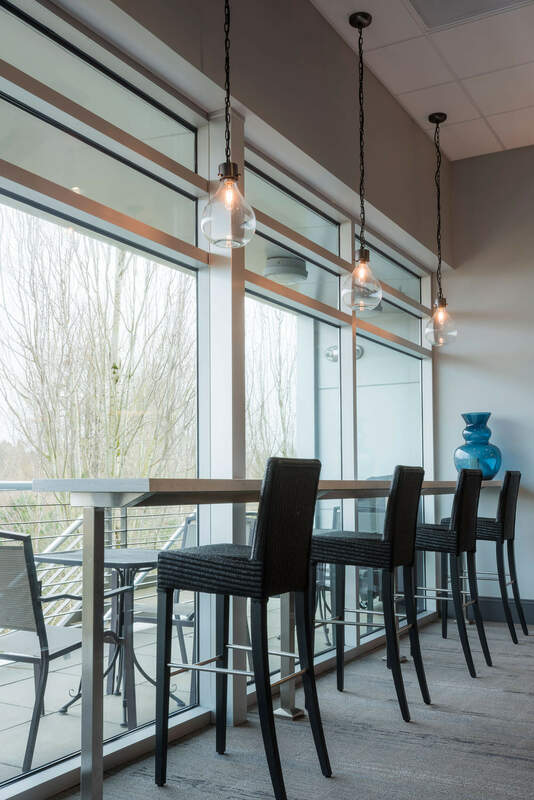 To enhance the views from the second floor, it was vital to bring the feel of the outdoors inside into the design. 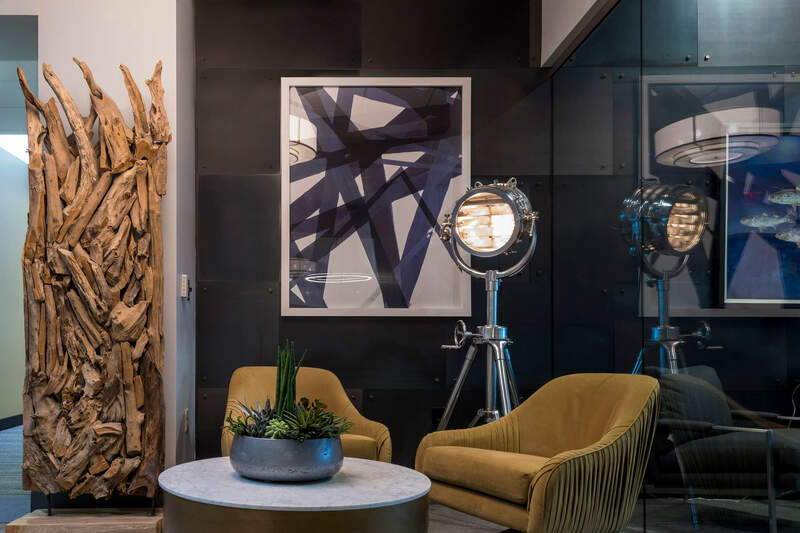 A large interior planter truly adds a dramatic touch to an inspired space. 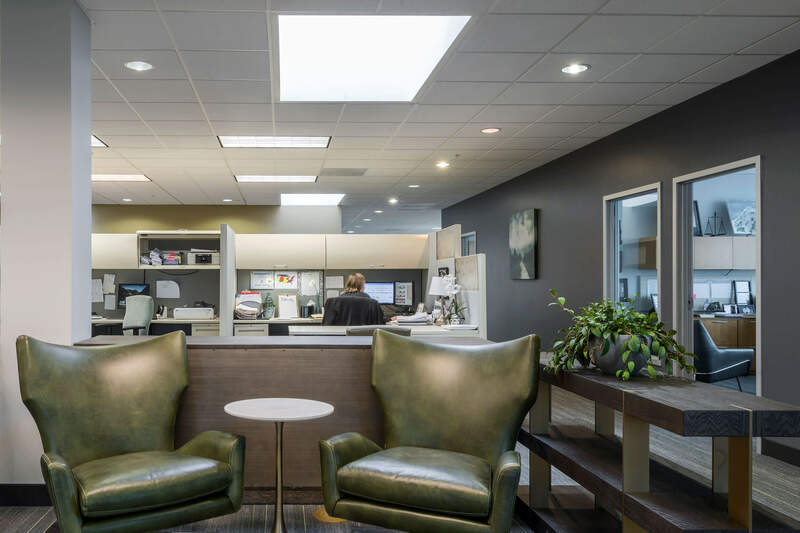 For additional multi-purpose uses in this collaborative space, a blend of built-in banquette-style benches and movable furniture creates dedicated yet flexible, intimate seating areas. 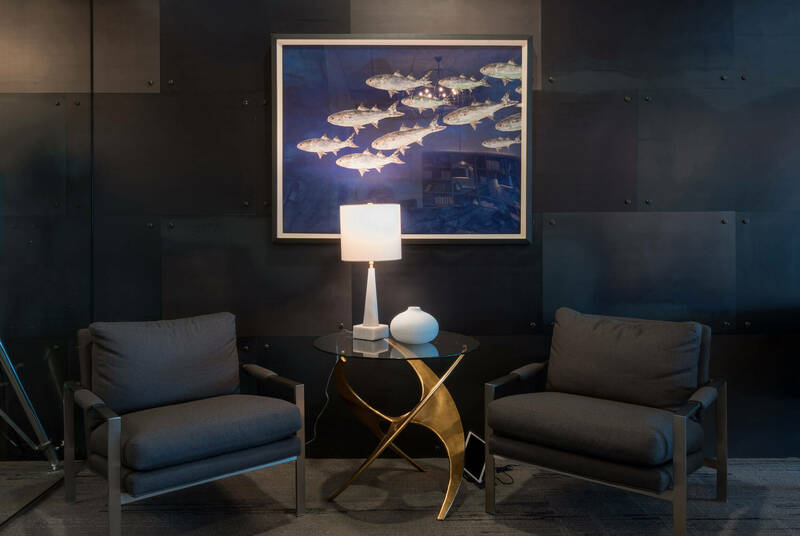 Another seating area features overstuffed chairs, marble tile wall, recessed fireplace and a wall-mounted flat screen TV. 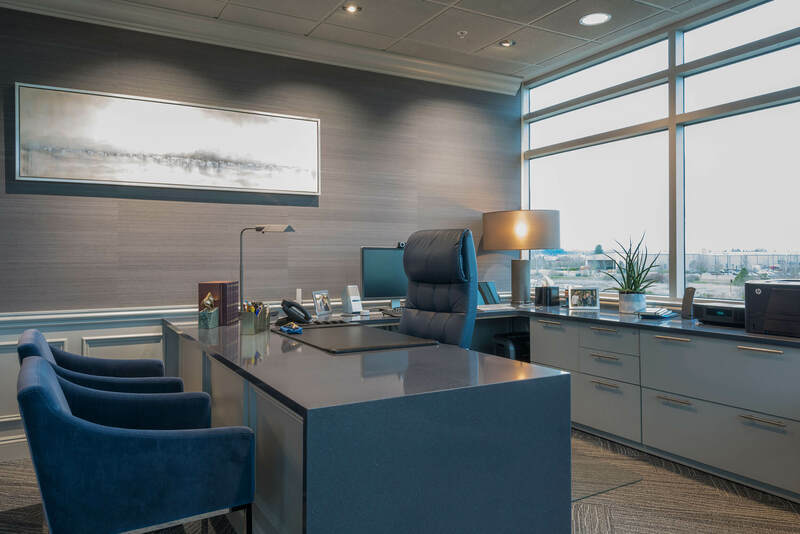 Additional interior details included a sophisticated mix of wood veneer, tile and marble paneling, as well as built-in wooden bookcases. 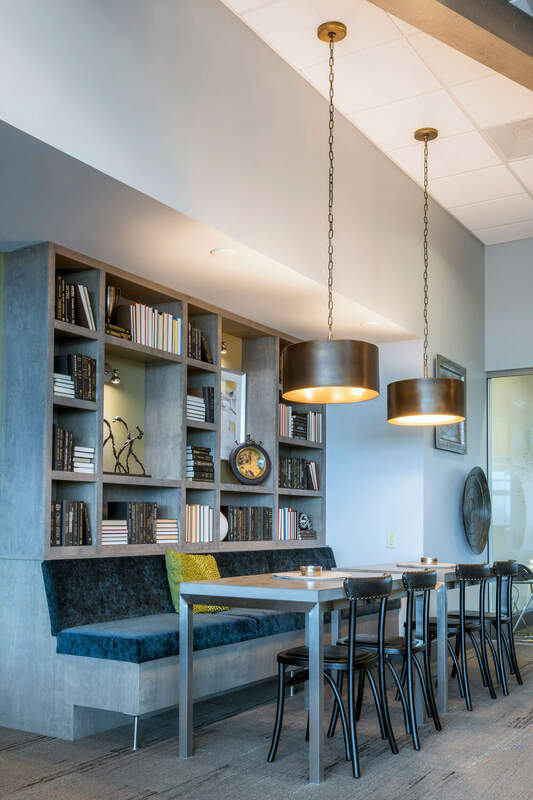 A bistro style coffee bar was also created to bring the love of coffee and conversations together. 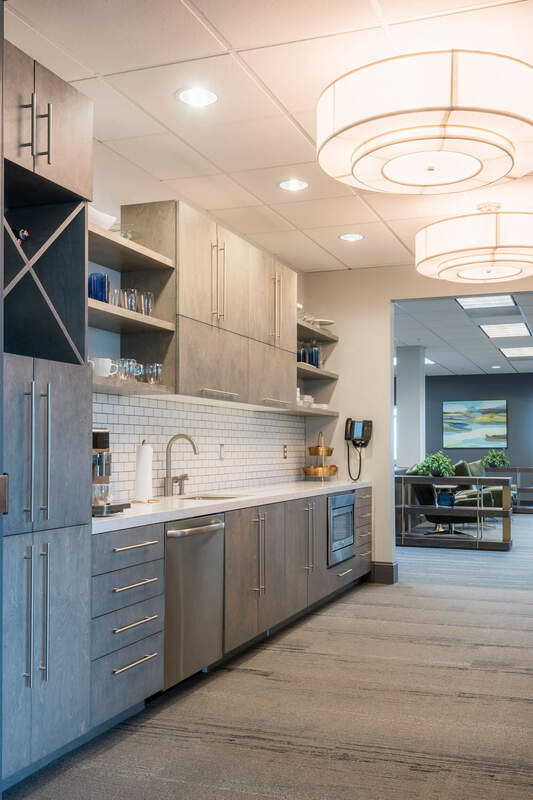 The updates included a mix of cabinets and modern open, wood shelving for storage and quartz counter top and back splash. 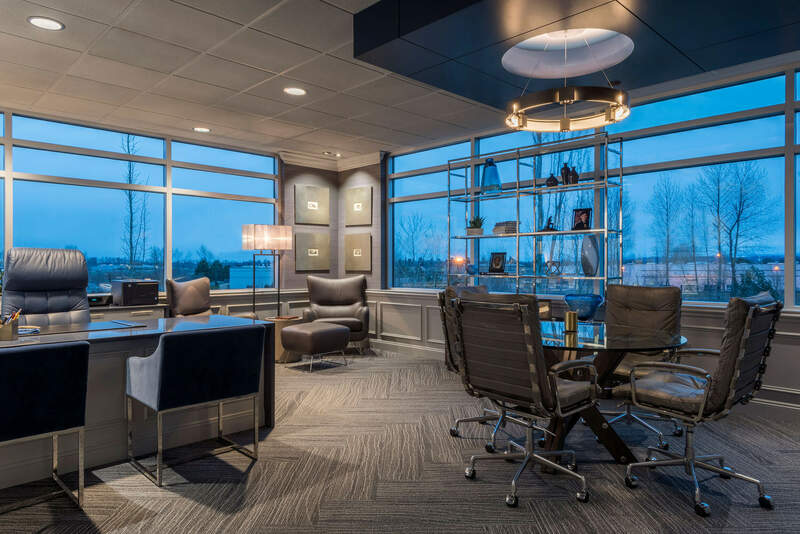 Industrial high-top seating features vintage light fixtures, which further balances the space with the adjacent modern touches. 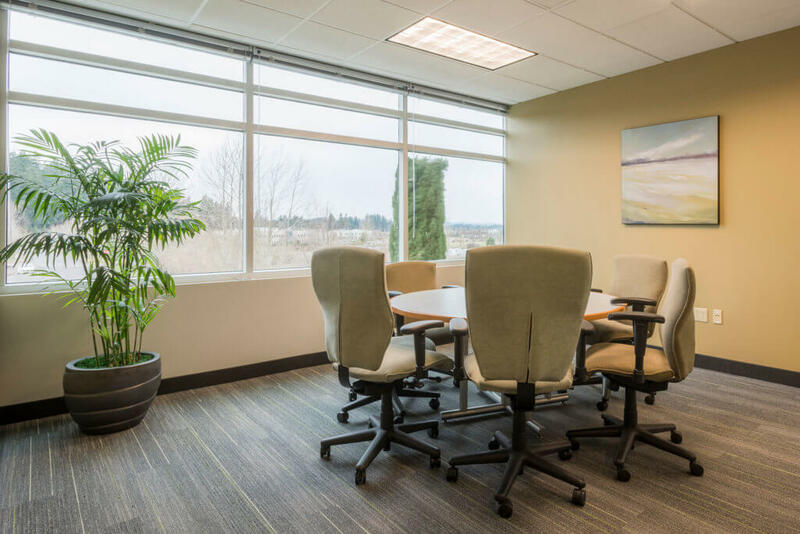 In the conference rooms, glass walls define spaces yet add light and maintain an open feel. 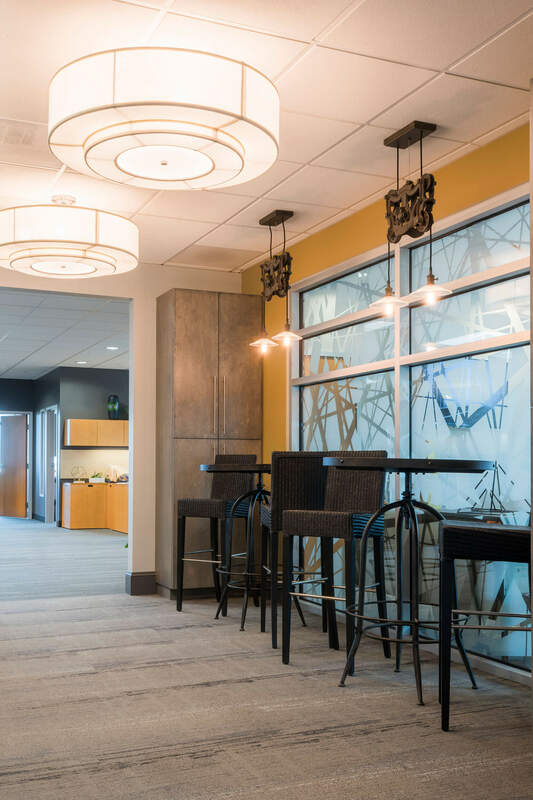 Unified design elements such as the abstract lattice pattern and various circular lighting fixtures throughout meld the project. 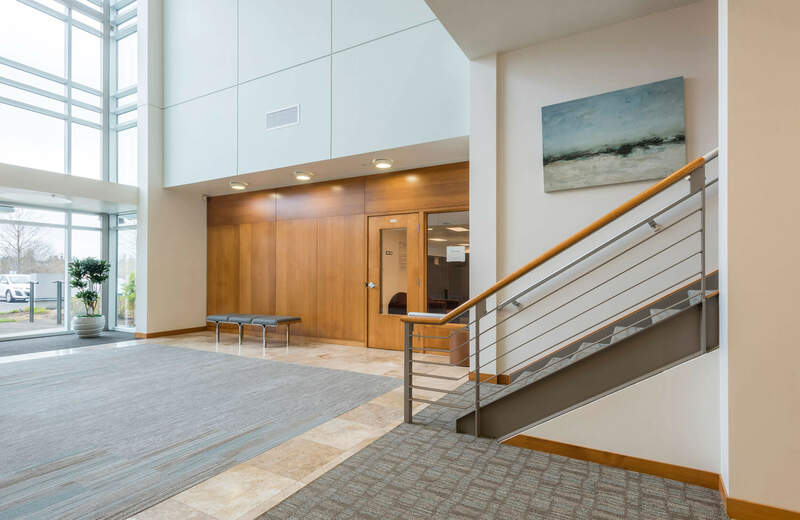 Impressed with our design aesthetic, Church Extension Plan continued with Lenity to update its entire corporate office and the buildings common lobby with new interior finishes including paint, carpet, artwork, furniture and lighting. 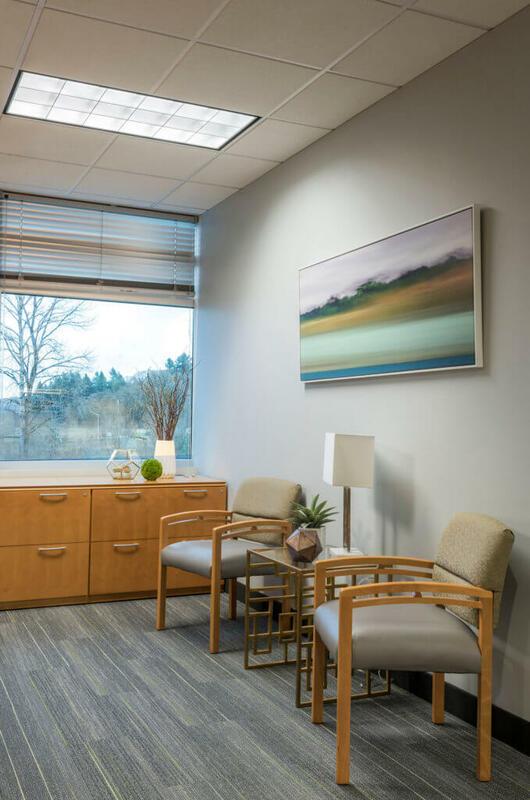 In the area adjacent to the Board Room, an intimate waiting area was designed to define the space within the open, employee work space. 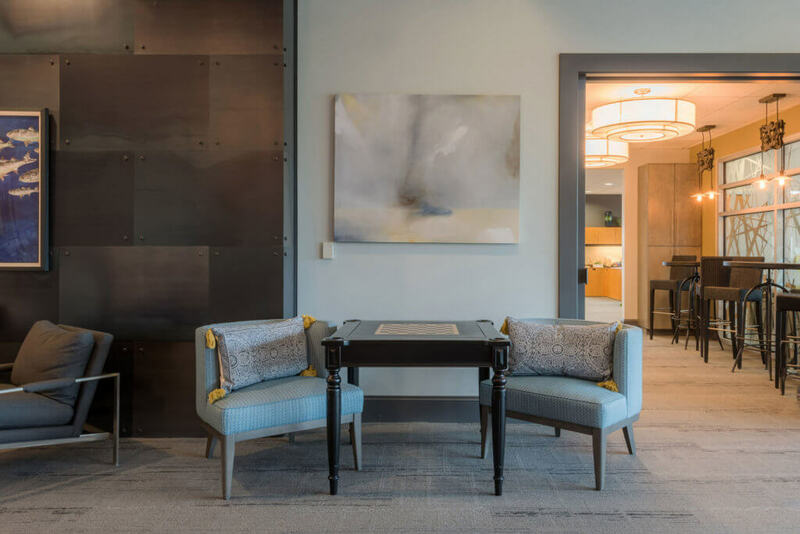 The Board Room’s thoughtful interior design finishes convey class and comfort with both intimate seating and conference table to discuss business. A mix of beautifully textured wallpaper and large tile line the space helping to add warmth and define the various spaces. 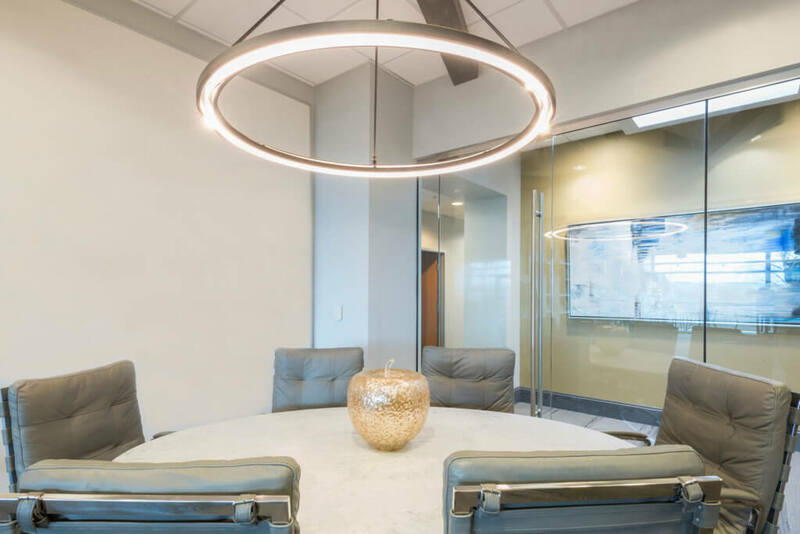 The carpet carries the lattice pattern into the room, while the custom lighting fixture over the conference table continues the circular lighting detail. 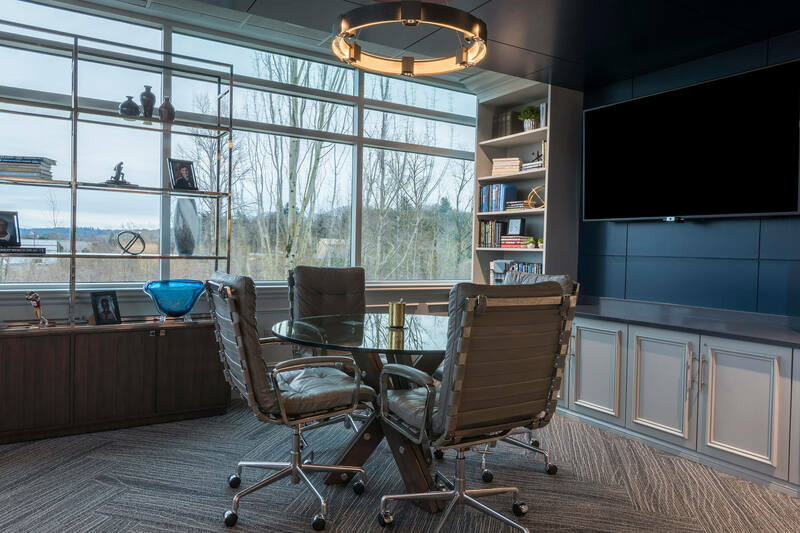 The placement of the large dark quartz desk with custom-designed cabinets takes advantage of the views from the corner office. 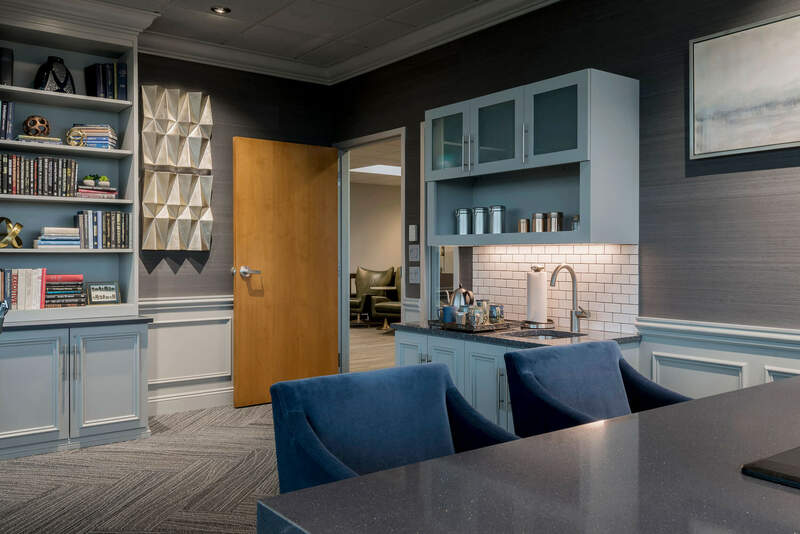 No matter where the eye looks, one sees tasteful details and unified design elements, throughout this interior alteration project.